Destin Ironshield (left) , along with Kate Gates and Katelyn Omen, tribal students from North Dakota, work in the biology lab of UND Ecologist Robert Newman, who encouraged them to dig into computer mapping and digital image analyses of the invasive plant species leafy spurge, as part of the students’ recent research experience at UND. Photo courtesy of Juan Pedraza. Kate Gates saw a big door open last week at UND. Spending a few days in the lab of ecologist Robert Newman, Gates got a firsthand—and hands-on—look at real-world science well outside the classroom textbook experience. Gates was one of several tribal high school graduates and first-year college students exploring STEM—science, technology, engineering and mathematics—as part of the North Dakota EPSCoR (Established Program to Stimulate Competitive Research) NATURE program. NATURE stands for Nurturing American Tribal Undergraduate Research and Education. 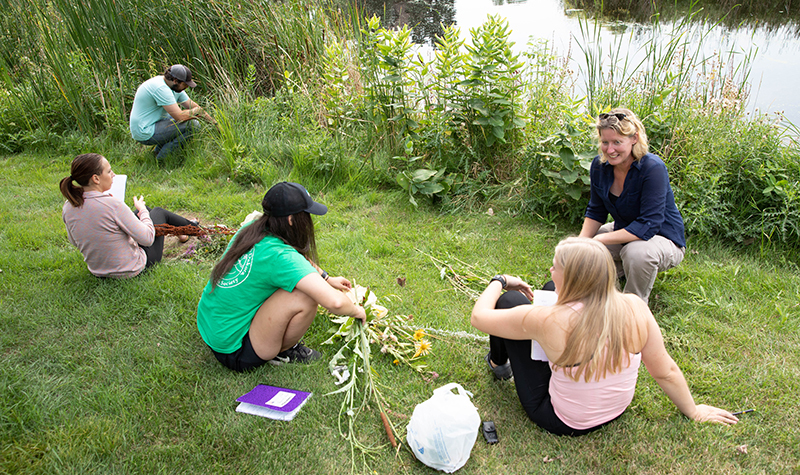 Hence the work of Gates and her two tribal colleagues—Katelyn Omen and Destin Ironshield—last week with Newman, who encouraged the visiting students to dig into computer mapping and digital image analyses of invasive species—in this case, leafy spurge—in western North Dakota. When asked to pose for a picture, the three were intent on getting back to their chart-filled computer screens and old-fashioned scientific reference books. “This was real research on the spread of noxious weeds such as spurge, which invade a habitat and can overwhelm native species,” said Newman. Omen, who plans to attend Cankdeska Cikana Community College (CCCC) in Fort Totten, N.D., says the hands-on experience in Newman’s lab was eye-opening. Ironshield, just finishing her first year at CCCC, attended EPSCoR NATURE program last year. This kind of enthusiasm is infectious to faculty, too. Newman says his lab helped the NATURE students learn how to streamline field processes and how to explain things to the people who don’t have a lot of experience with science. Other UND NATURE students were with Sergei Nechaev in his epigenetics lab at the UND School of Medicine & Health Sciences; and with Surojit Gupta, in the Department of Mechanical Engineering in the College of Engineering & Mines. For Nechaev, the challenge and major fun of NATURE is teaching from scratch. 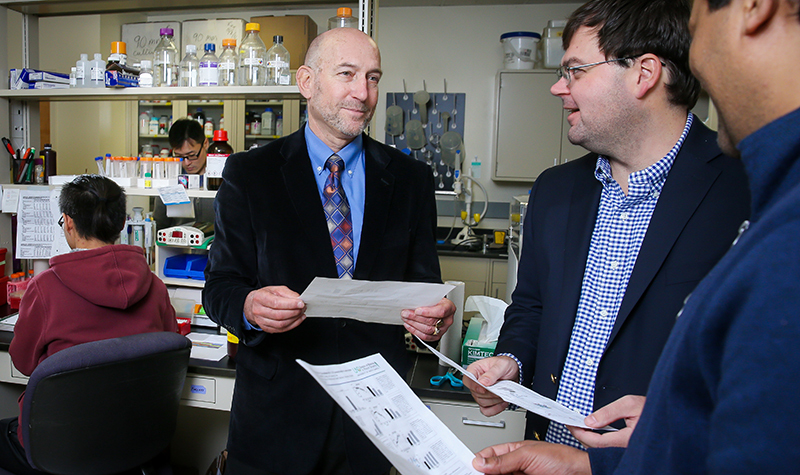 “These students are not graduate students or post-docs, so we have to teach students who do not have the basic experience of working in a lab,” said Nechaev. 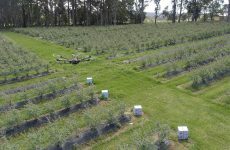 “We need to remember that these students don’t have training in a lab so we must employ a different way of teaching them; this reminds instructors that their cutting-edge research has to start at the very beginning. 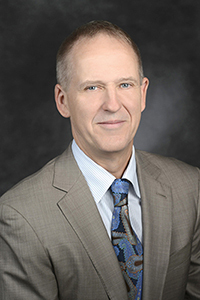 The EPSCoR program at UND falls under the purview of Grant McGimpsey, vice president for research & economic development and dean of the School of Graduate Studies. 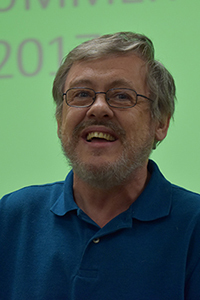 McGimpsey, a longtime chemist, noted at Friday’s closing ceremonies for the two week-long NATURE program that he’d taught in several STEM disciplines and programs. “The NATURE program is near and dear to my heart,” said McGimpsey, who’s keen to translate the UND research experience into learning opportunities for students. “This program presents a great opportunity in a short period of time. I hope it’s given students at least a snapshot about what it really takes to do STEM-focused research—not only the dedication, but the rewards. 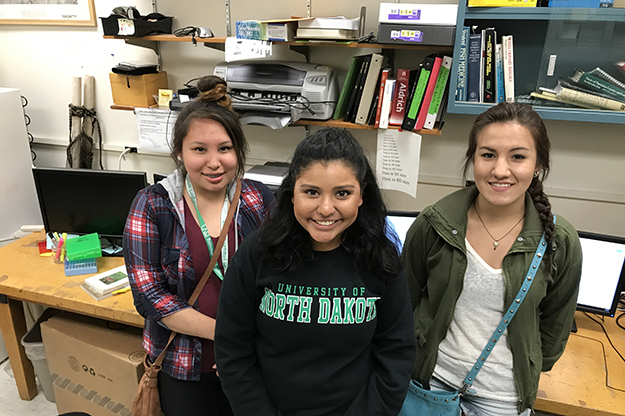 ND EPSCoR NATURE program, now in its 15th year, attracts Native American students who have finished high school or are in tribal colleges to North Dakota’s research universities.